This recipe is really simple and I also chose this recipe so I can use my cuisinart immersion blender that I picked up for $30 @ home outfitters (in orange!). This serves 6 people as an appetizer and is under $10! 1.Melt the butter and fat in a large pot. 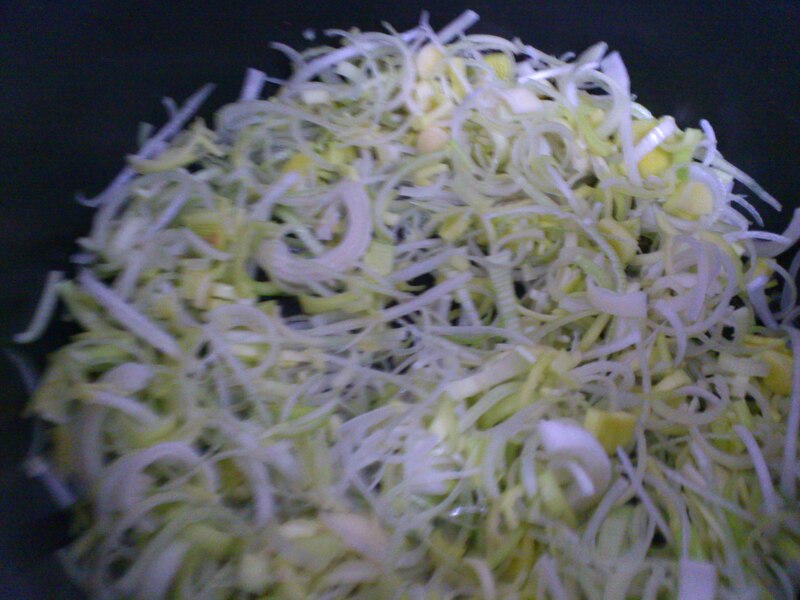 Once melted, add the leek and garlic. 2.Cover for 5 minutes on medium heat. After sweating the leeks, add the stock, salt, black pepper, and potatoes. Bring to a boil and simmer until the potatoes are tender. 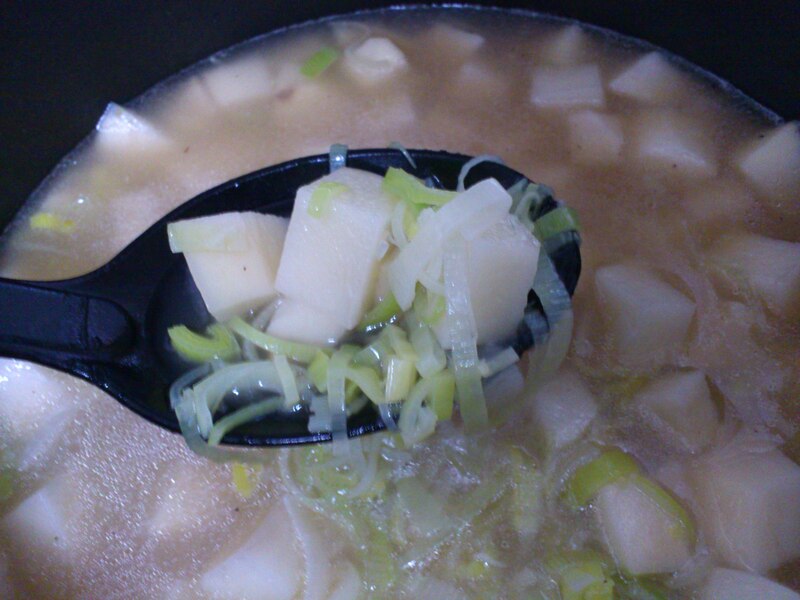 3.Take out half of the leeks and potatoes (approximately) and some of the liquid into a separate heat-resistant bowl. 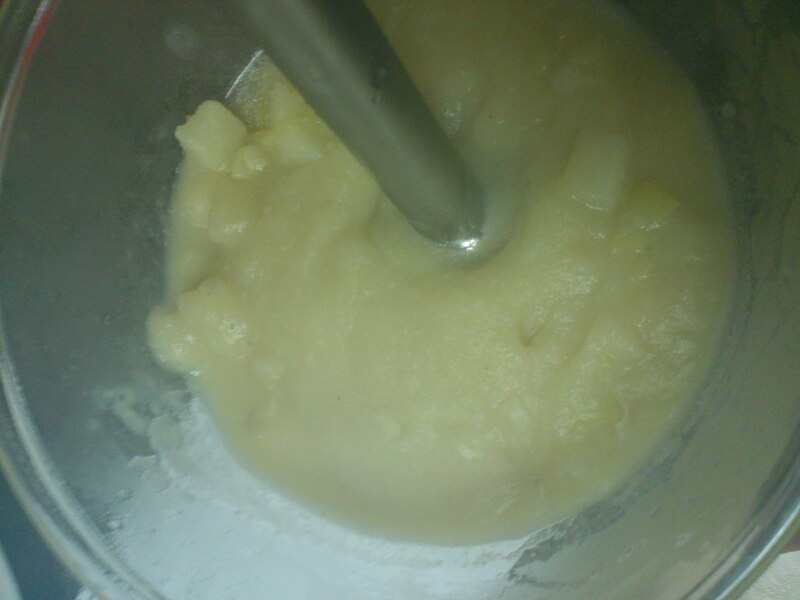 Use the immersion blender to puree. 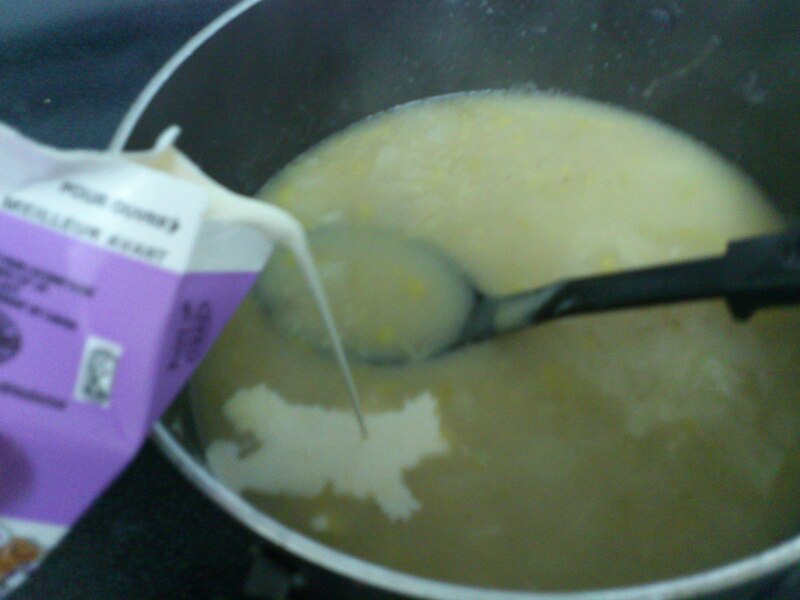 4.Once pureed, add back into the soup. Bring to a simmer and add the cream and peas. Simmer until the peas are cooked/reheated. 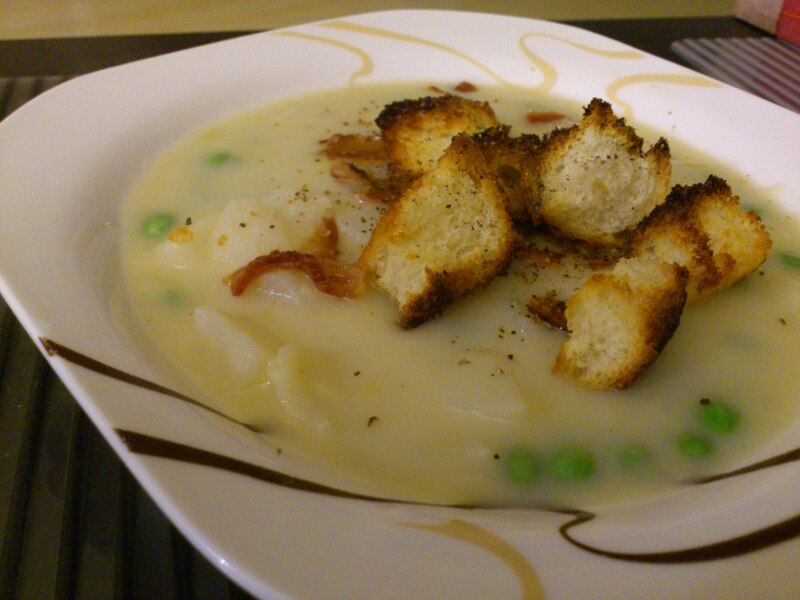 5.Enjoy with crumbled bacon and croutons. I made the croutons out of sourdough by cubing 1 1/2 cups of sourdough and tossing it with 1 tbsp of butter; afterward, I baked the bread for 8 minutes at 400F. So mine came out a little too thick. I suggest taking small portions of the potatoes out and pureeing them at a time. Afterward mixing it back into the soup. You simply just have to repeat if it’s too watery. This way, you can control the thickness to reach the consistency you like. I would also use 1 more leek because it’s very subtle. Not sure about you but I want a punch of leek in every mouthful! This recipe was adapted from http://www.foodnetwork.com/recipes/food-network-kitchens/potato-leek-soup-with-bacon-recipe/index.html.